This is named after the historical quilt, The Rajah Quilt, which was made by female convicts on the ship ‘Rajah’, as they were transported from England to Van Dieman’s Land (now called Tasmania), in 1841. 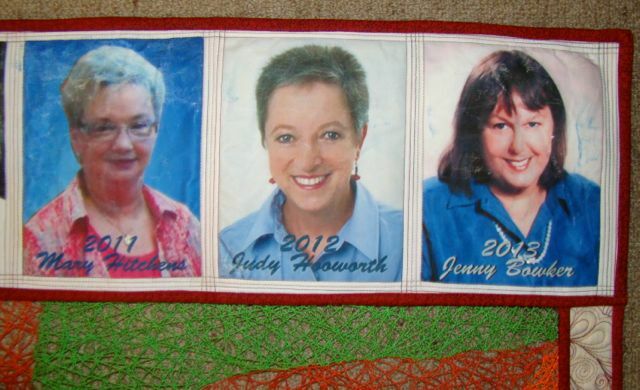 Follow the link to learn more about the significance of this appliquéd coverlet, for it’s relevance to presenting the award, in recognition of the ‘outstanding contribution to quilting in Australia’. 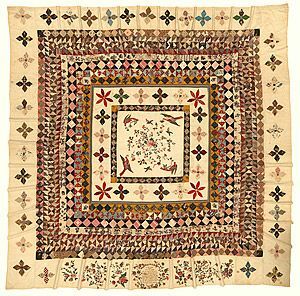 ‘Rajah Quilt’ courtesy of National Gallery of Australia. 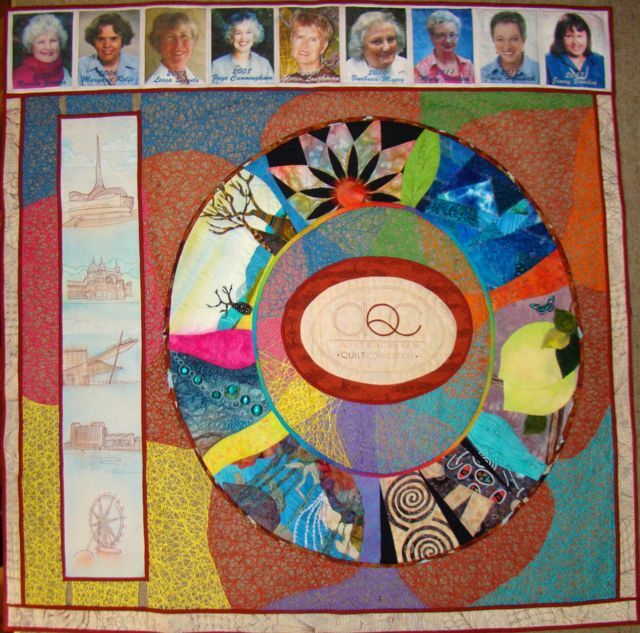 This quilt by Deb Layt (2014), is a tribute to the first decade of winners of this prestigious award. 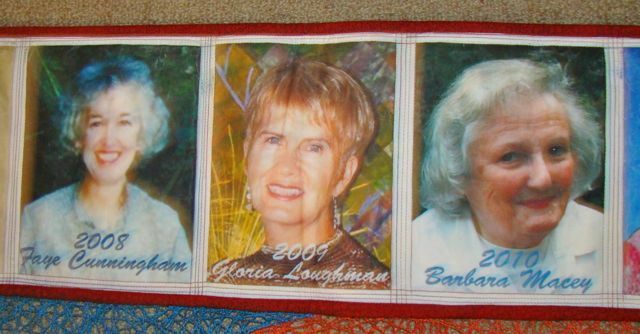 She has incorporated her ‘GeoWeb’ machine quilting technique and photo transfer printing, along with class sample pieces for this unique wall hanging. With thanks to Deb for her kind permission to use her quilt with this post.